Here are best Antigua attractions in 2019 for tourists not to miss - they will delight water lovers, nature lovers and historians alike! The whole family will be thrilled with this Antigua attraction when you interact, play and learn about amazing stingrays at Stingray City. This unique venue is a natural area which is cordoned off and is home to myriads of stingrays. The water is shallow, making it perfect for small children and people who can't swim. Although the animals are in their wild environment, they are gentle creatures and are at home with humans. Stand in the water and watch them float by, if you want you can even touch them! Make sure you get some fabulous photos. 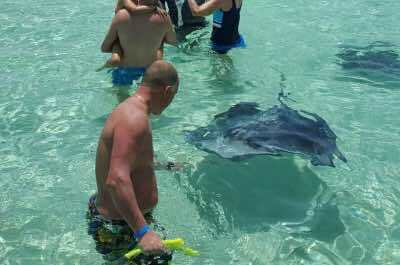 If you have snorkeling gear, you can swim into the deeper waters with the stingrays. Historians will find many fascinating Antigua attractions when visiting Nelson's Dockyard. The history of this site goes as far back as 500 BC when the first settlers arrived. Nelson's Dockyard has recently been recognized as a UNESCO World Heritage Site. The main attraction today is the dockyard itself, named after Horatio Nelson the famed commander of the British Navy. The dockyard was built in 1725 as a base for the British Navy and is the only Georgian dockyard still existing in the world. Make sure you visit the Nelson's Dockyard Museum (formerly called Admiral's House Museum), which offers a comprehensive history of the English Harbour. See the beautifully restored Colonial Era buildings which served as homes and work places to sailors and officers during 18th and 19th centuries. Some of the buildings have been preserved to show their original historic purpose and others now offer quaint shops and restaurants. 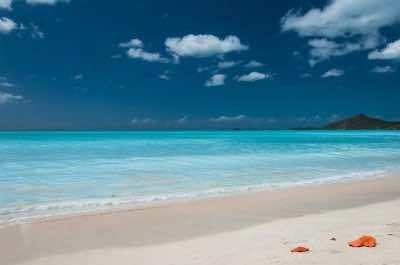 Barbuda is the smallest of the two islands that form the nation and is a must-visit Antigua attraction. Composed mainly of coral limestone, the island is located north of Antigua with vast stretches of unspoiled beaches and many mysterious caves throughout the island. 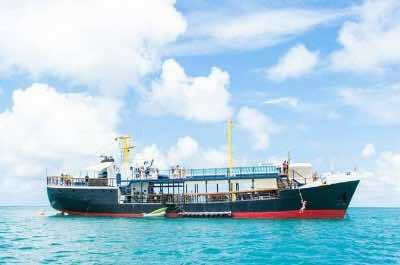 Barbuda does not boast much development and there are only few resorts on the island. 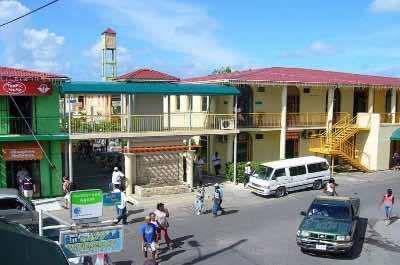 Most of the 1,600 plus residents live in the centrally located capitol city of Codrington. There are some interesting and exciting Barbuda attractions for travelers to enjoy such as Frigate Bird Sanctuary where you will find large frigate birds as well as 150 other bird species. The Artcafe is a quaint bed and breakfast that features the silk arts of Claire Frank; 17-Mile Beach is a vast stretch of flour like sand that you can walk for hours on and never see another person; Pink Sand Beach has gorgeous pink sand with a bar for libations as well as palapas for shade and you can even go horseback riding. Another great Antigua and Barbuda attraction is the Caves at Two Foot Bay which are located within Two Foot Bay National Park on Babruda and are carved into the cliffs with ancient Arawak petroglyphs carved on the walls. Historians looking for Antigua attractions will be thrilled to visit the Museum of Antigua and Barbuda. 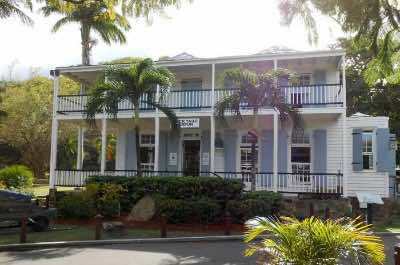 It is filled with exhibits detailing the history of the Island and its cultural legacy. The Museum is located in St Johns, the capital city and is housed in the beautiful old Colonial Court House which dates back to 1747. Wander around and learn about this fascinating region, the museum covers everything from the geological birth of the Island to modern day living. Be enthralled by the range of artefacts from fish fossils to pottery, the British colonization and the story of independence, get up close and personal with these best Antigua & Barbuda points of interest. Take a step back into history at Betty's Hope, the next Antigua attraction that must be on your list. This sugar plantation dates back to 1651 and was one of the largest and most lucrative on the Island. Take a tour and learn how hundreds of African slaves lived out their lives working the mill under horrific conditions and how they became skilled artisans after their release in the 1800's. See the restored sugar mill tower which has authentic sails and then take a walk through the fascinating Museum. This iconic venue had a great influence on the people of the region and to this day is a cultural landmark. 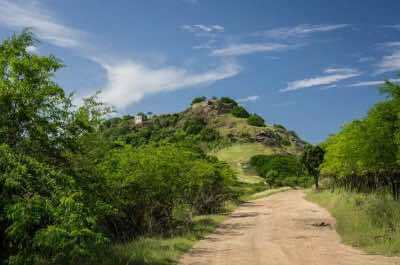 When you are considering Antigua attractions, don't miss out on a visit to Shirley Heights. This is the most famous view on the island and the hip and happening party spot! The location overlooks the English and Falmouth Harbours and offers panoramic views across to the neighbouring islands of Guadalupe and Montserrat, which is also the site of an active volcano. If you think the day time views are spectacular, nothing beats an evening view as you watch the sun set over the Caribbean. Make sure you do both. Then get ready for a night of partying, as there are cool things to do in Antigua at night. Shirley Heights Lookout Bar and Restaurant is the place to be. Listen to steel drum bands and eat food straight off the grill. Dance the night away on a warm Caribbean island. Nature lovers will be enchanted at Devil's Bridge. Don't get put off by the rather scary name, it is one of the most famous Antigua attractions. 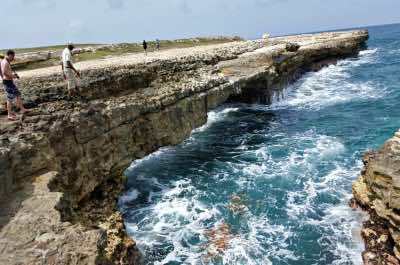 This natural bridge has been formed over thousands of years by the massive waves of the Atlantic Ocean carving out the soft limestone ledges of the cliffs, forming an imposing bridge-like arch that will thrill the eye. The sad legend tells that slaves threw themselves off the bridge to escape their fate and it was thought that the Devil inhabited the place, hence the name. Today the bridge is a hauntingly beautiful place with natural wild shrubbery and massive breakers crashing to the shore. Soak up the rugged beauty as you calm your mind and soul. In the mood for shopping up a storm? Retail therapy is one of the most enjoyable Antigua attractions on this spectacular island. Take a ride to Heritage Quay, it offers high-end, duty-free shopping with great prices on a huge range of luxury goods. The shopping complex offers dozens of shops selling everything from designer diamond jewellery to Rolex watches, cigars, clothing and electronics. Have your credit cards ready and waiting! The mood is enhanced by local bands playing steel pan music and vendors selling fun quirky T-shirts, local arts and crafts and souvenirs to take home. Haggle and negotiate and then relax over an island seafood dish served at one of the many restaurants. Another fabulous view, another fabulous Antigua attraction! Plan a visit to Fort James. This historic site was built by the British in 1706 to protect the island against French invasion. Historians will delight in exploring the cannons, the powder magazine, the foundation of the wall and the age-old remainders of the fort. Visitors can also explore Fort James on a Segway. These fun two wheel motorised scooters are simple to operate and make a fun and unusual alternative to walking. 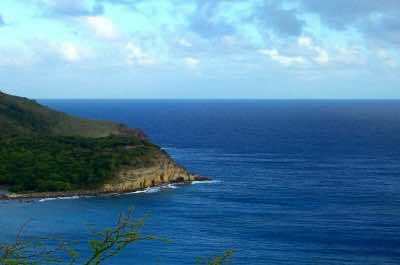 When you are done with history, the view overlooking St John's Harbour and the Caribbean Sea is truly spectacular. Sparkling blue water, towering cliffs and the picture-perfect town of St John's nestling at the water's edge, create one of the most famous sights on the planet. The D Boat is a fantastic Antigua attraction for the whole family to have a fun day aboard this unique converted tanker ship. Located just off Maiden Island on the northeast coastline, the D Boat is a floating waterpark filled with exciting activities and can be reached by a 5-minute ferry ride. While you visit the D Boat, you will marvel at this converted tanker ship that sports several waterslides, a peaceful deck for sunning and a restaurant serving casual beach fare. The fun continues for you on the D Boat when you enter the water and snorkel with the brightly colored marine life in the warm waters. This attraction will have you swimming, sliding on one of the many waterslides and wishing you never had to leave this tropical paradise. The D Boat Restaurant is perfect for that cold island libation or lunch with the family making this a must do while on Antigua. When you think you have run out of Antigua attractions to explore, set off for some exclusive shopping at Redcliffe Quay. This section of St John's was originally a slave compound but now offers some of the best shops and restaurants on the island. Many of the buildings are over 100 years old and are preserved in the original style used to build St John's City. The area now offers a waterfront filled with a myriad of quaint alleys and passages waiting to be explored. This 'Olde Worlde Gem' will enchant! Lose yourself as you discover small hidden away stores, local boutiques, arts and craft stores and fabulous traditional eateries. The donkey sanctuary is a wonderful Antiguan tourist attraction for adults and kids alike. The Antigua & Barbuda Humane Society offers a safe haven for about 150 donkeys to live in. Here they are well cared for by dedicated professionals. While the Humane society is doing everything possible for the donkeys, lack of water and food are an ongoing issue, so although admission to the Sanctuary is free, your donation is highly appreciated. 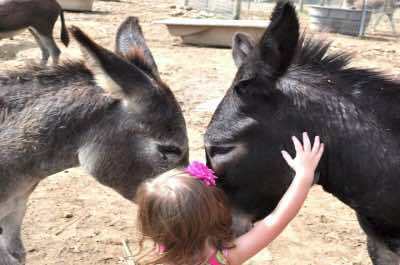 Take a visit to Antigua's Donkey Sanctuary, this amazing venue is a delight for children and the young at heart. There are great photo opportunities. 'Adopt' a donkey for just US$25 and get an adoption certificate suitable for framing. Adopting an Antiguan donkey is one of the most unique and rewarding Antiguan activities. Antigua's Donkey Sanctuary is open Monday to Saturday, including Public Holidays, from 10 a.m. to 4 p.m.
Just when you think you have seen it all, there is another amazing Antigua attraction. Hell's Gate sounds really enticing! This attraction is a tiny island that can only be reached by boat and a swim, so make sure your camera is waterproof. Hell's Gate is probably best visited with a tour guide. As you approach you are greeted by the awesome sight of a massive carved out rock bridge hiding a cave and a secluded beach. Swim inland from your boat and explore. 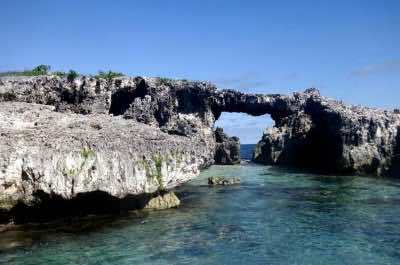 Climb up and walk along the bridge, explore the dark cave and relax in the crystal clear turquoise water. This is a fabulous day outing to beautiful natural venue that should not be missed. 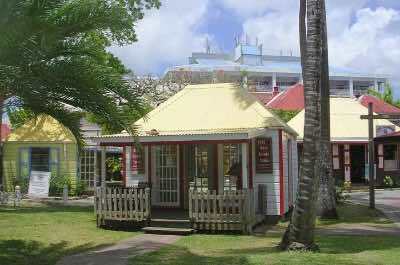 Another fabulous Antigua attraction that cannot be missed is a trip to Fort Barrington. 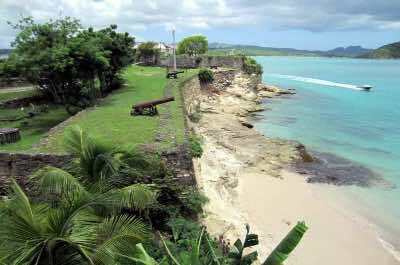 The Fort is situated at the south entrance of St John's Harbour and was built by Admiral Barrington who became famous for defeating the French at St Lucia. This massive fortification dates from 1779 and is laid out on the hill as a semi circle, with huge guns aiming out to sea. Designed to protect the Island, it offered a formidable force in its time. Explore the ruins, the dungeon-like rooms and see the powder magazine. Then hike up to the top for panoramic views over the Harbour. The climb is 300 feet and is steep and rocky, so you need to wear proper hiking shoes and be reasonably fit! 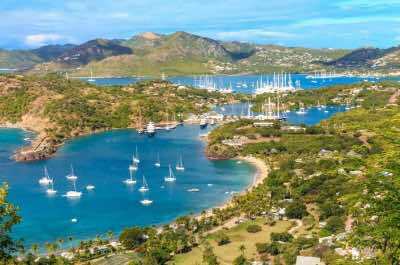 English Harbour is a great Antigua attraction where you can watch the many colorful boats, visit a fort and even swim with the locals. Located on the southern coastline, English Harbour is a small town established in the 17th century and was a perfect sheltered harbor for the British Navy. 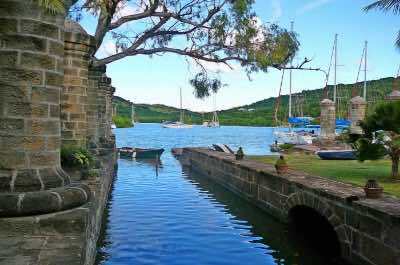 English Harbour encompasses 15 square mile area centered on Nelson’s Dockyard National Park and offers multiple activities for you to enjoy. 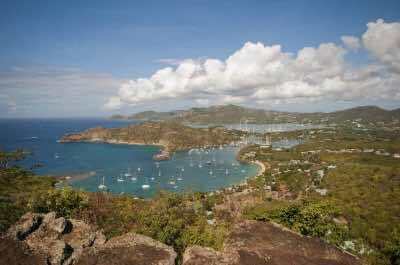 English Harbour features gorgeous architecture, a rich history and spectacular views of the area from Shirley Heights. Most of the buildings in English Harbour have been restored to a time of yester year which adds to the incredible ambiance of the area. You will explore Fort Berkeley and the Admiral’s House Museum as well as the Clarence House which was constructed for King William IV. English Harbour has plenty of exquisite restaurants like Catherines Café Plage for French and seafood delicacies when you are hungry. The Pillars of Hercules are a unique Antigua attraction which combines beautiful natural scenery and a golden sand beach. Located at the mouth of English Harbour and Freeman’s Bay at Charlotte Point on the southern coastline of the island, the Pillars of Hercules are situated within a national park. You can reach the Pillars of Hercules from Galleon Beach which is a ¼-mile golden sand beach along the bay front. When you are at the Pillars of Hercules you will marvel at the force of nature that created these geological wonders. Another bonus feature of the Pillars of Hercules is the great snorkeling reef located 75-feet from shore where you can explore the underwater world of brilliantly colored marine life that lives amongst these coral reefs. While in the area of the Pillars of Hercules you can enjoy a fantastic lunch at Shirley Heights Lookout which specializes in island-style barbeque and big panoramic views. Prickly Pear Island, one of the popular Antigua & Barbuda points of interest, will satisfy every nature lover who is looking for a pristine beach and hiking trail in a tropical landscape. 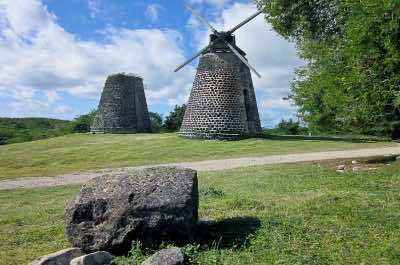 Located in North Sound off the coastline of Gorda Virgin, this Antigua attraction is situated on 243-acres and was designated a National Park in 1988. 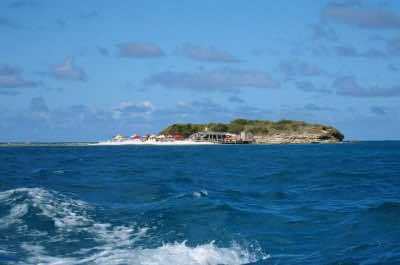 Prickly Pear Island has everything you are looking for in a tropical paradise. This Antigua attraction has several white sand beaches which offer multiple opportunities for snorkeling, swimming and relaxing under the sun. Prickly Pear Island is perfect for exploring as well as viewing wildlife. There is a hiking trail that begins along the southern beach area at Sand Box Bar that leads you inland to the northern beaches. You will enjoy lots of watersport activities at the northern and eastern beaches on Prickly Pear Island from swimming to snorkeling. This Antigua attraction offers solitude, exercise and fun in the sun for everybody in the family. Fig Tree Drive is the perfect way for you to understand the beauty of the island while taking a ride through the rainforest. Located in the southwestern portion of the island, Fig Tree Drive is a 5-mile segment of the 20-mile Old Road which travels through a spectacular tropical landscape and beautiful beaches. As you travel on Fig Tree Drive, you will view numerous small fruit stands that line the road along the way as you explore the culture of the countryside. You will enjoy the tropical landscape which is full of rainforests with old mango and large huge banana trees that are referred to as figs. Fig Tree Drive also offers excellent hiking opportunities to the historic Wallings’ Reservoir which is just a short walk from the roadside. Another bonus of visiting this attraction is you can stop at the Fig Three Studio Art Gallery where you can browse through the eclectic artwork of Sallie Harker.